Made of Stainless Steel, this is a stylish modern steamline design, Rust Resistant, Easy to assemble and clean. Different thickness, size & layers are available to your choice. 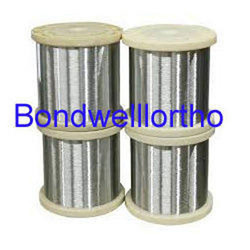 We are an acclaimed name engaged in providing our precious clients a superior quality range ofDental Stainless Steel Wires. Altra Fine and Easy to fixed . Solid steel and machined reels are designed for the application requires a strong reel built to high performance or heavy duty applications.We can offer a full line of solid steel reels that are each deigned to meet the particular application. Code No. : 3.0 mm Dia. The reel is made of welded iron sections with protective paint or coating to prevent rusting. The reel is supplied with two no. of Cross Plates on each side. 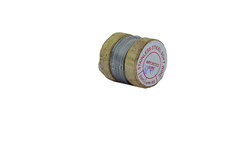 Used to wind and unwind the pilot wire in case of any damage to original reel on which Pilot is wind ed and supplied. Steel Cable Drums are ideal as a substitute for the conventional wooden drums which are used by telecommunication and power cable manufactures, in process lines and for transporting finished cables. We are manufacturing Steel Reels and providing services also to our client near by Punjab, Himachal, Hryana.